Many physicians, advanced practitioners, and CRNAs accepting locum tenens work over a few hours from home opt to travel by plane. However, there are advantages to using your own vehicle to travel to and from an assignment. Many locum tenens staffing companies offer travel reimbursement or include travel expenses, giving you the option to take your vehicle instead of arranging for a rental. Driving can minimize stress related to delays or missed flight connections. Most GPS applications alert you to upcoming accidents or road closures and offer an alternate route. The best part? Using your own car means you’re already comfortable with the vehicle, and you’re entirely in charge of your route! If you’d rather block off some extra time to settle in, you can time your departure to avoid heavy traffic and travel strictly between points A and B. Or, you could plan to take a more leisurely tack—even a mini road trip—if time permits (a particularly nice choice if you’re headed to or through an area to which you have always wanted to travel). Take care of basic vehicle maintenance before you leave. Check your wipers, headlights, and turn signals to ensure they’re working properly. Then, have a trusted mechanic perform a “pre-trip inspection,” to check your vehicle’s brakes, battery, fluid levels, oil filter, air filtration system, belts, hoses, and tire tread. Even if you aren’t quite due for an oil change, the peace of mind of having it performed early means you won’t have to worry about it while you settle in at your new location. If additional service is required, make sure it’s completed prior to your departure. Put together an emergency vehicle kit. 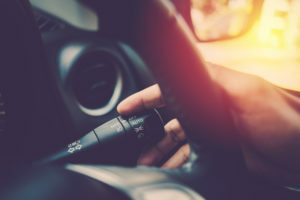 If you don’t already have the following supplies in your vehicle, pick them up before you embark on your journey: a multipurpose utility tool, a flashlight and extra batteries, a first-aid kit, reflective warning triangles, a fire extinguisher rated for Class B and Class C fires, jumper cables, spare tire, tire jack, tire gauge, foam tire sealant, a few quarts of oil, antifreeze, a funnel, duct tape, a pair of gloves, and a few rags. For your comfort, keep a blanket or two, non-perishable snacks (protein bars and trail mix are great options), and a couple of gallons of drinking water in your vehicle, too. Determine your route and factor in tolls (or plan to avoid them.) Use maps (physical or on your phone) to figure out the best route to your destination. Make sure you know your options for paying tolls and prepare payment before you leave. Some areas do not even use toll booths anymore. Store enough quarters or bills in your car, or if you have an EZPass, sign in online to verify that your account has enough money and then ensure the transponder is properly set up in your vehicle. Check your route and be prepared to encounter different weather conditions. You may not live in an area where snow is common, but if you are traveling to or through places that see their fair share of the white stuff, it’s prudent to stash chains, road flares, a snow brush, ice scraper, kitty litter, cardboard, and an expandable shovel in your vehicle. If you face some spotty weather, it’s nice to be prepared with a windshield glass treatment that repels rain, dirt, and mud (e.g., Rain-X or Rainbrella), and keep a good pair of sunglasses in your glovebox to protect your eyes from ultraviolet radiation and the elements. Verify where you can park at both the facility and housing complex. The latter won’t be an issue if you’re staying at a bed and breakfast or hotel. However, if you’ll be living in an apartment, find out whether there is open parking or if you’ll need to put your vehicle in a specific spot or a numbered space. If you must pick up a sticker or tag from an office prior to parking, you may need to factor their hours of operation into your arrival time. Gather your road trip playlist. Last, but certainly not least, make sure you put together some good entertainment for your trip! Save a few new albums, find an interesting audiobook, or download a couple of thought-provoking podcasts to help you look forward to the drive and forget about the miles along the way. No matter how you pass the time, you’ll be at ease behind the wheel since you took the proper steps to get prepared before hitting the road. 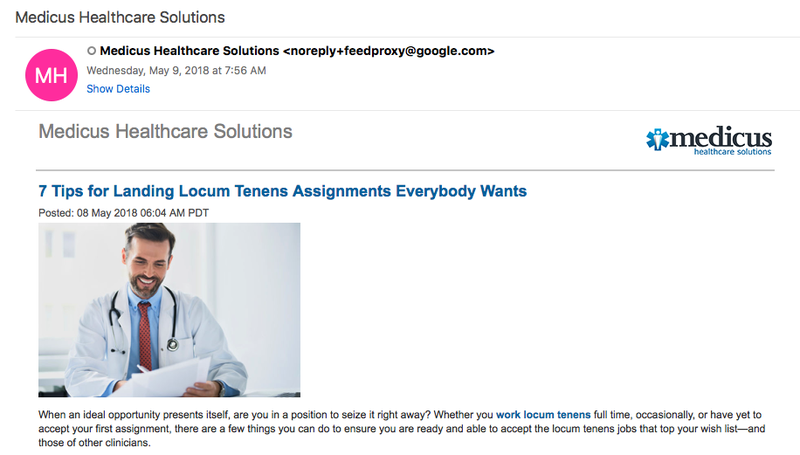 For more information and help preparing for a locum tenens assignment, call Medicus Healthcare Solutions at 855.301.0563, and check out our blog for tips, the latest news and trends, and other helpful information.